In this post we examine five of the best-selling insulated water bottles. Insulated water bottles are vacuum-sealed and designed to keep liquids hot in the winter and cold in the summer. In addition, they're really lightweight and durable. Plus they're chemical-free compared to plastic bottles (Source). Insulated water bottles are often used by athletes and avid gym-goers. Yet, they are also useful for non-Instagram models. They aren't only convenient but they can save you money as well. Since you will have a water bottle to take to the office, you'll be far less tempted to buy one! There are a couple of different types of insulated water bottles. Some of these can include stainless steel or even a vacuum seal to keep your drink cold. Many of these won't keep flavors either, meaning you can drink whatever you want out of them without worry (Source). The first tip that customers pass on is to make sure that a stainless steel style, which has some sort of insulation. While many assume any stainless steel model is an insulated bottle, they may not be. Rather, look for insulated options with stainless steel and vacuum seals. This will make the difference between a good and the best insulated water bottle. Another thing that many customers suggest to check is if the bottle is prone to sweating. For some, this might not matter. Yet, if you are using your water flask in an office, you won't want it sweating on your papers (Source). There is a lot of variety in the insulated water bottles that we are looking at today. For the most part, this comes in the form of different colors and designs. The Glacier Point comes in 6 colors while the Outer EQ comes in 4. There is also the Polar Bottle, which comes in 17 different designs as well as the Simple Modern option comes in 22. There is also the concern of size. Not everyone needs an extra-large water bottle but not everyone can do with a small one either. Unfortunately, only one of our options has different sizes. 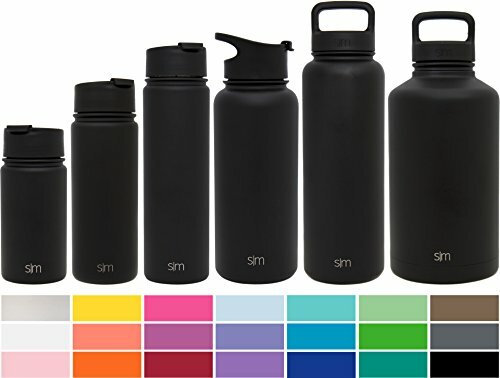 The Simple Modern insulated bottles come in a total of 6 sizes, ranging from 14 to 64 ounces.The Simple Modern, Glacier Point, and Outer EQ bottles are also stainless steel. Of course, these sport flasks will keep your water cooler longer. An insulated water container will save you money over a plastic water bottle. These are also safer to use than plastic water styles since they are BPA-free. Stainless steel water containers are unlikely to attract and develop mold and bacteria. These insulated water bottles don't usually keep flavors of other drinks in them. This means even if you throw a glass of tea or flavored water in one morning you're fine! You won't have to worry about that taste staying around forever. Using an insulated water container is cheaper than buying a plastic water bottle. This way, you are making a one time purchase instead of one every day (Source). The Polar Bottle 24oz Insulated option is a solid buy for active people to hydrate everywhere they go. Users like the usefulness of the bottle, but some do complain about its ability to keep the liquid cold. This product is made of durable, lightweight and FDA food grade approved polyethylene. The bottle is 100% BPA-free and phthalate-free and has a double-wall construction with a thermal barrier of air to keep heat out and cold in. You can choose between 37 color combinations. This item seems like a solid choice if you want a water bottle that comes with a lifetime guarantee and is designed to last for years. In general, users are happy with this Polar canteen. They state that it works very well for long distance bike riders and that it fits well in standard bike cages. Users appreciate that the bottle is lightweight and easy to clean. However, some buyers complain that it doesn’t keep your liquid contents cold as long as advertised. Plus, they warn that if you put ice in the bottle it will sweat rivers.Many purchasers state that the screw-on top leaks. Some also complain that the bottle is difficult to squeeze. The Simple Modern Summit Water Bottle is a solid option for office, road trips, hiking, sporting events, use at home and so much more.Users like that the bottle is visually pleasing, but do complain about the leaking. This product rain saver is a double-walled and vacuum insulated wide mouth bottle. It is made from premium gauge 18/8 stainless steel, which is BPA-free and will never rust or leave a bad metal taste in your mouth. There are 22 different colors available. This item could be a solid choice if you want to keep your drink cold for up to 24 hours or hot up to 8 hours. In general, users have a favorable opinion of the Simple Modern Insulated Water Bottle.They agree that it is nice and sleek, with great color and size options. Users like that it is handy and made of a durable material. However, many buyers complain about not receiving the extra Flip Lip as described. Several purchasers complain that the bottle leaks terribly. If you are looking for a top-rated insulated water canteen, you might want to consider the GlacierPoint Bottle Vacuum Insulated Stainless Steel Water flask. Users love the functionality of this option, but do complain about some design flaws and quality issues. This product is a 25 oz double wall vacuum insulated water bottle which fits most cup holders and doesn’t “sweat”. It is made from durable BPA-free food grade 18/8 stainless steel. It comes in six colors. This insulated sports water bottle might be a good choice if you want to keep your drink pure, natural and odor-free while maintaining its temperature up to 24 hours (in the case of cold drinks), i.e. 12 hours (hot drinks). 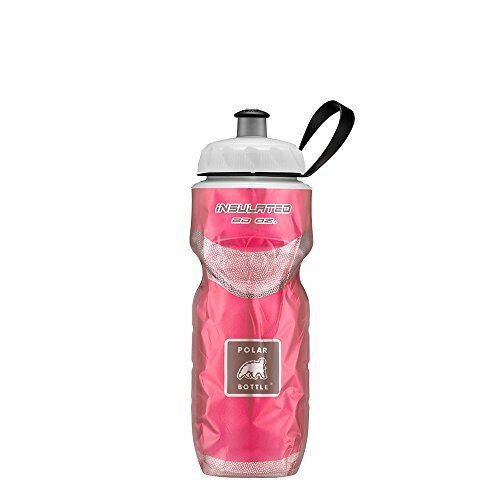 In general, users have a favorable opinion of the GlacierPoint Bottle Double Walled Water Bottle and they agree that it keeps water cold for hours and doesn’t leak. Buyers appreciate that the bottle is entirely made of stainless steel, including the cap, which fits perfectly. However, some buyers complain about it being super heavy and the bonus cap being super sharp. One dissatisfied buyer shares that it doesn’t keep water as cold as advertised. Another one states that it quickly developed pit corrosion over the entire surface. If you are looking for a thermos that will keep your beverage at your preferred temperature for hours, you might want to consider this one offered by OuterEQ. Users love the insulation on this bottle, but do complain about the size. This durable double wall vacuum insulated stainless steel water bottle keeps drinks cold for up to 24 hours and hot for up to 6 hours. It is made from high-quality, food grade 18/8 stainless steel with a high-quality powder-coated matte finish exterior that never sweats. Its lightweight design fits snugly in most vehicle cup holders, bicycle and backpack carry cages. There are 4 colors to choose from. This item could be a solid choice for camping, long hikes, days on the beach, hot yoga classes, golf, long road trips or everyday office use. 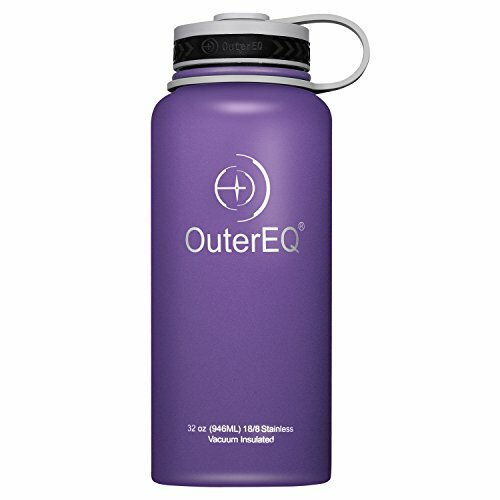 In general, buyers are pleased with the OuterEQ Stainless Steel Insulated Water Bottle. They appreciate its durability. Users agree that the insulation on this bottle is great. However, many buyers say that it is too big and thus doesn’t fit in a standard cup holder. Several purchasers share that the bottle leaks. The CamelBak Big Chill Insulated Water Bottle is a solid option if you are looking for a leak-free transport and shaking and mixing of powdered drinks.Users like the insulation quality of this thermos, but do complain about leaks. This product is made from a proprietary blend of BPA-free and BPS-free polypropylene with a hydro guard. It features a large aperture of the drinking nozzle which is easy to remove for thorough cleaning. There are 20 color combinations available. If you want to keep your drinks cooler longer and drink with ease without spills and splatters, this high performance insulated sports bottle with a self-sealing jet valve cap might be a solid option. The general user consensus concerning the CamelBak Insulated Water Bottle is that it has good insulation and is very easy to squeeze. However, many buyers complain that it leaks badly. Some are very disappointed with the cold keeping quality. Whether you are hiking through mountainous tracks, running a marathon race or just sitting in front a laptop for your work, whatever the situation is, you will most likely feel the need to quench your thirst. This thirst can be satisfied well by drinking purified water from one of these containers. You might be confused about where to begin. 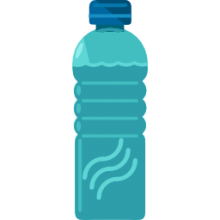 Although insulated water bottles have become an everyday item, the bottled water industry has exploded recently with bottles of all kinds of shapes, designs and colors by famous brands or new and unfamiliar manufacturers. There is an increasing demand these days for insulated water containers which keep their contents hot or cold by limiting heat transfer between its content and the temperature outside of it. This mechanism works with a bit of clever engineering behind it and well-made insulated bottles are able to keep the ice in a frozen state, no matter how hot the external atmosphere is, and it is also capable of keeping the contents of the bottle warm inside even if it gets soaked in icy water. Each different container design features some specific functions. We scrutinized the various water container designs including the insulate thermoses, citrus-infusing options, flasks with push–button closing mechanisms, and many more. The research shows that the collapsible water bottles are designed to save space and weight, while rigid bottles are built to last for a long time. Metal, plastic and glass bottles are best for storing consumable liquids. Plastic products have always remained a popular item, most commonly used at local rock climbing crags, campsites or gyms. This is because a plastic water canteens is very light in weight, inexpensive and versatile. Plastic options are mostly transparent, which proves to be good in tracking your water consumption. Moreover, they are strong, durable and don’t rust like metal ones do. And of course, they come in very aesthetically pleasing colors, so you can match your water bottle with your mountain bike or a pink laptop cover, etc. These canteens are best suited for a variety of actives and can be very handy on backpacking trips or going out for a long campaign journey. But experts have advised that plastics types have the risk of toxins leaking from the plastic into the water and this might be related to infertility or cancer problems later on in life. This is why it is recommended not to use a plastic water product for a long period of time and you should try to use a new plastic bottle every day, instead of using the same bottle over and over. Stainless steel types have the best longevity and durability qualities. They can last for a very long time if they are handled with proper care. However, with the passage of time, signs of wear and tear, such as scratches and dents will becomes visible on it. The plastic caps on these stainless products will likely shatter before the bottle will deteriorate. Stainless steel materials are used during its development process and metal water bottles have proven to be free from the health hazards that are common with plastic bottles. Double-walled vacuum insulation: As the name refers, the concept behind vacuum insulation is very remarkable. The double wall vacuum flasks achieve their insulation by using two walls with a tiny gap of evacuated air between them. Inside this vacuum flask, there is a gap between the two walls, which prevents any transfer or absorption of heat or cold. Hydro flask: This generation of insulated canteens are also known as flex cap and incorporates the new honey comb insulation technology in its lid. This newly designed cap not only offers improved insulation, but is also a handy carrying strap. Fifty/fifty vacuum insulated: This type of product offers great insulation properties and has proven to the most durable bottle out of all the available options. Well- designed, highly functional insulation comes in a wide range of colors and sizes and are easily available in most shops. These canteens bring all the features required for a water bottle and are considered the best option for insulated stainless steel bottles. The water bottle market is full of various types of insulated canteens, each with a unique design and durability features. But it’s a fact that it is impossible to try all of them. So before buying one yourself, keep in mind that your health is most important, so be sure to pick a non-plastic bottle if you intend to use it over and over again. If you choose plastic bottles, then make sure to discard them after using it for a single day.